Female infertility causes account for 40% of infertility cases. 40% is caused by males alone. And the remaining 20% is caused by both the male and female. 1. Endometriosis is a condition where the endometrial tissue grows outside the uterus. 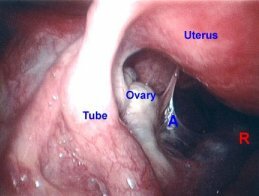 The endometrial tissue is the lining that is shed during each monthly period. This condition usually causes pelvic pain and infertility in women. 2. Ovulation problems result from hormonal irregularities. Disruption of the production of hormones such as the luteinizing hormone (LH) and follicle-stimulating hormone (FSH) can prevent the ovaries from releasing eggs (annovulation). Specific causes of hormonal irregularities are injury, excessive exercise, starvation, tumors and even medications. 3. Fallopian tube damage or blockage prevents the egg from getting into the uterus. It also may prevent the sperm from reaching the egg, thereby causing infertility. The most frequent cause of fallopian tube damage is chlamydia, a sexually transmitted disease. Another cause of female infertility is 4. 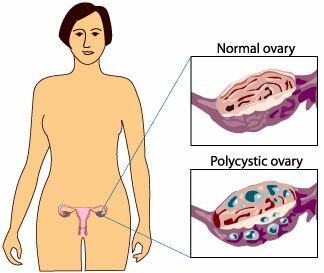 Polycystic Ovarian Syndrome(PCOS). PCOS is a condition where the body produces too much androgen, a male hormone that support sperm production. This results in cysts formation on the ovaries which, in turn, affect ovulation. Most women with PCOS have irregular periods or none at all. 5. Overproduction of prolactin, a hormone leading to breast milk production, of women who are not pregnant or lactating, may affect ovulation. High levels of prolactin may indicate a presence of a pituitary tumor. Female infertility may also be caused by 6.early menopause. Menopause means a woman stops menstruating permanently and therefore can no longer be pregnant. In the Philippines, the median age of menopause is 44. So, early menopause is the absence of menstruation before the age of around 40. Another one of the many female infertility causes is 7. poor egg quality. Eggs may be damaged so that they cannot sustain a pregnancy. This problem is usually related to age. Egg quality declines significantly after age 30. Age-related decline in egg quality may also be caused by oxidative stress. Female infertility may also be caused by 8. uterine fibroids. These are benign (usually harmless) tumors found in the walls of the uterus. These fibroids may block the implantation of the fertilized egg in the uterus. 9. Pelvic adhesions are scar tissues that bind organs after an abdominal or pelvic surgery. Pelvic infections and appendicitis may also cause pelvic adhesions to develop. These adhesions or scars may impair fertility. In the picture below, the adhesion is marked by the letter "A." 10. Unexplained fertility affects 10% of infertile women. This just means that all the commonly performed tests to diagnose the cause of infertility are normal. Other female infertility causes are excessive caffeine intake, thyroid problems (too much or too little thyroid hormone) and use of certain medications and/or drugs.